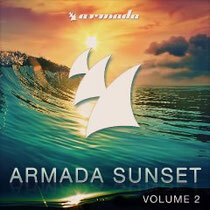 'Armada Sunset Volume 2' is aimed at lovers of beats, bass, sun and good times. Two mixes of chill-out, deep, and even a few late-night tracks should pull you right into the beach side of life. The first mix is a more relaxing journey, rife with downtempo tunes, remixes and tracks that were made to be enjoyed during life's more serene moments. As you transition from day to night, the album’s two mixes represent the two sides of the coin. Let KRONO, Compact Grey, Lost Frequencies, Pretty Pink and many more ambassadors of the genre bring you ideal relaxation. The second mix begins the transition to the nightclub, favouring harder beats, club track such as Mark Knight's 'Return of Wolfy', EDX's 'Cool You Off' and The Sneekers 'All You Need Is Lovin', and a few popular tracks of the moment. Matt Lange & Jeza's 'I Can't Forgive' is a great Ibiza tune, and there are many more like it, from Paul Oakenfold to Booka Shade. There’s not many things better than watching the sunset in one of the world's ideal locations, especially if you have the right music. It’s out 7 November on Armada Music, check one of its tracks below.